Be consistent about bed times and waking times. Your toddler is more likely to respond positively if he’s used to a specified schedule. The earlier your child’s routine is established, the easier it is to put them to bed without incident. Make the activities the same every night, and make the time before bed quiet and peaceful. Whether a parent tells the child a story, provides a bedtime snack, puts in a short video, or plays quiet games before putting the child in bed, consistency is the key. Try not to lie in bed with your toddler until he falls asleep. This might actually have the opposite effect, and might encourage your child to stay awake, and ask for drinks of water and more bedtime stories. An alternative might be telling your toddler you’re going to complete a chore and that you’ll come back in and check on them in a few moments. It’s most likely that the child will fall asleep while waiting for mom or dad to return. You might also want to talk about your child’s day with them. Keep your tone soft and quiet, and try not to excite your child in the process. Turning this into a nighttime story with your child as the main character is a fun option as well. 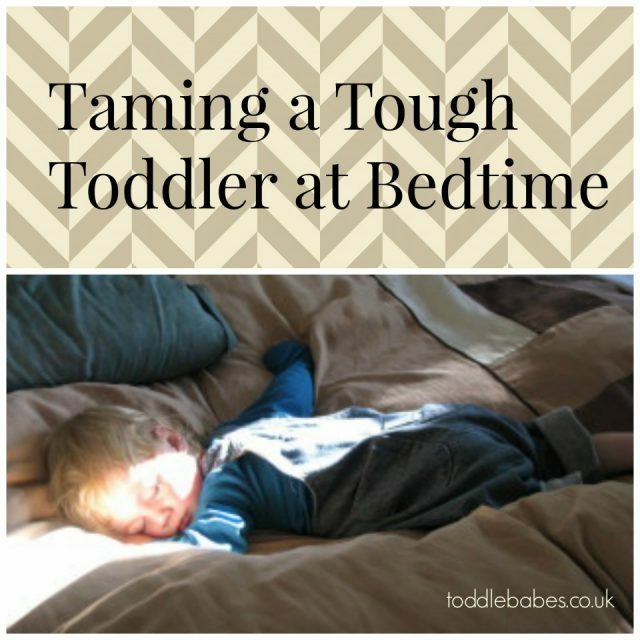 As the child grows older, if a consistent bedtime is maintained the task will become easier. The most important issue is consistency and repetition. If the child can expect the same thing every night, and these customary tasks are pleasant, bedtime can become a delightful family ritual. If however, your child is continually resisting sleep, talk with your child’s pediatrician, as their might be a medical problem at the root of it.